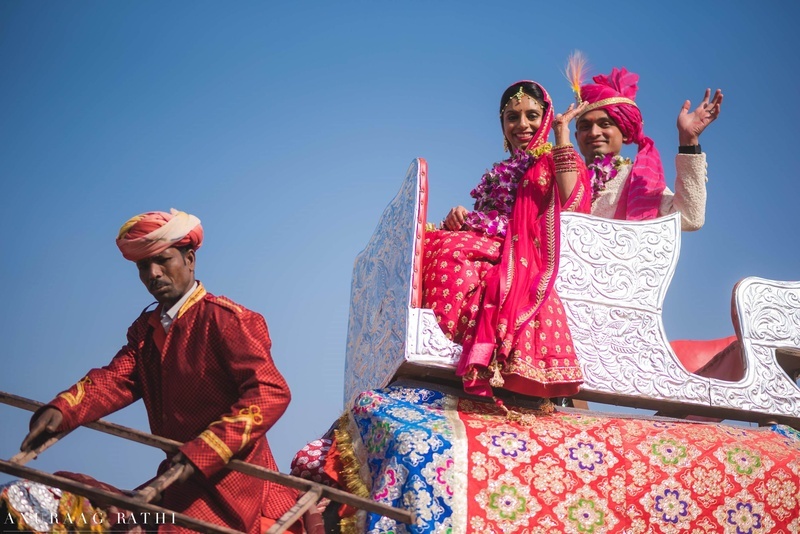 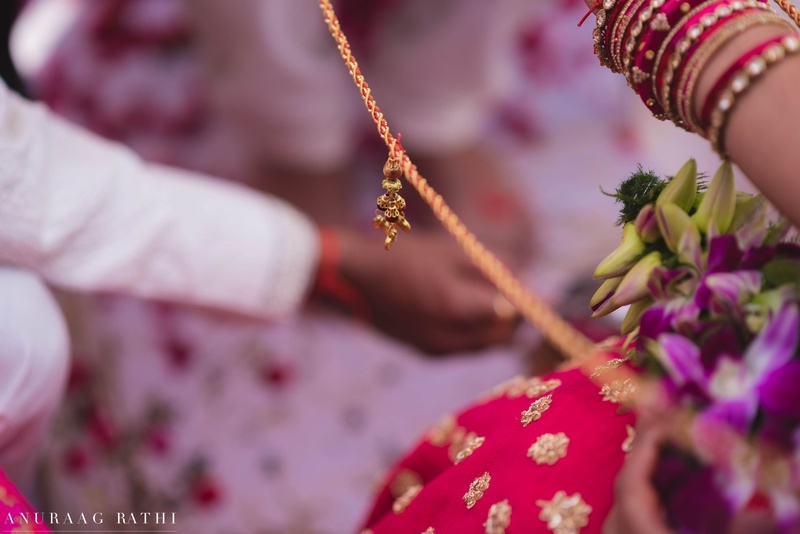 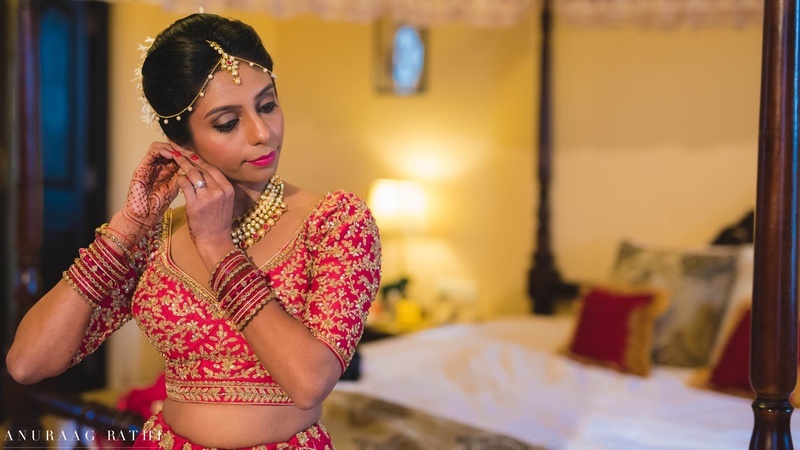 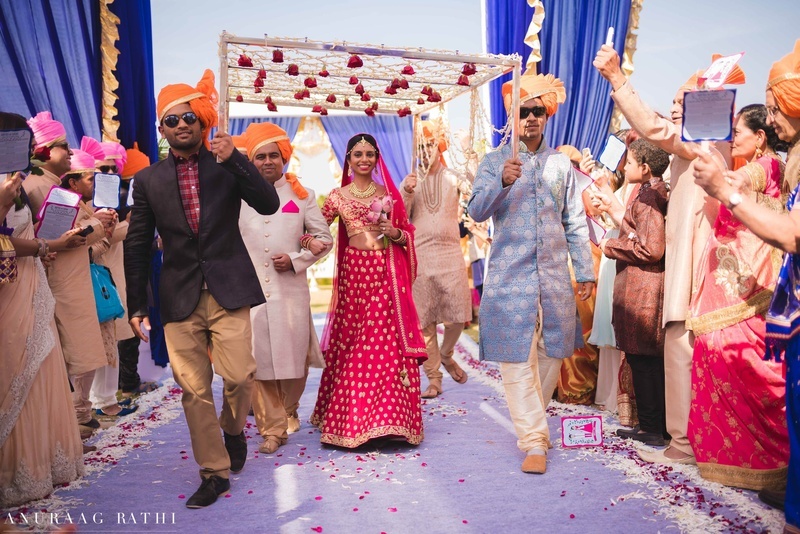 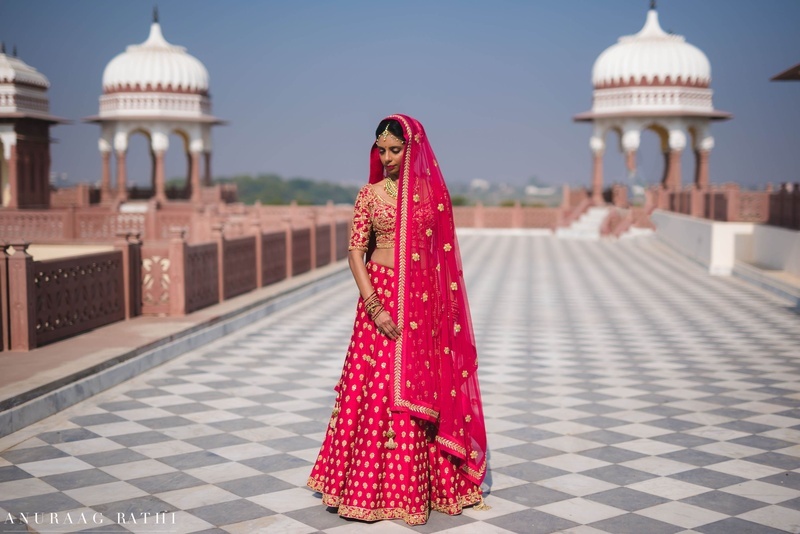 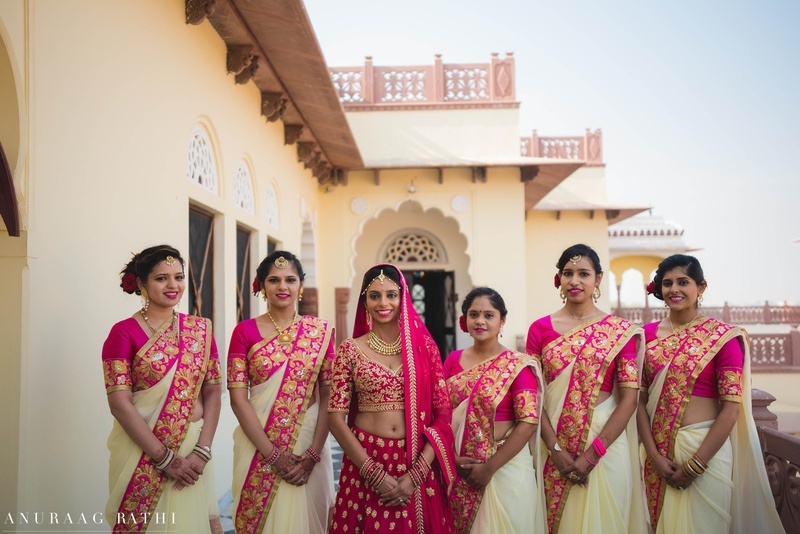 Nidhi & Arpan celebrated their nuptials in a three day celebration held at two different hotels in blue city of jodhpur, Rajasthan at Pratap Niwas Palace. 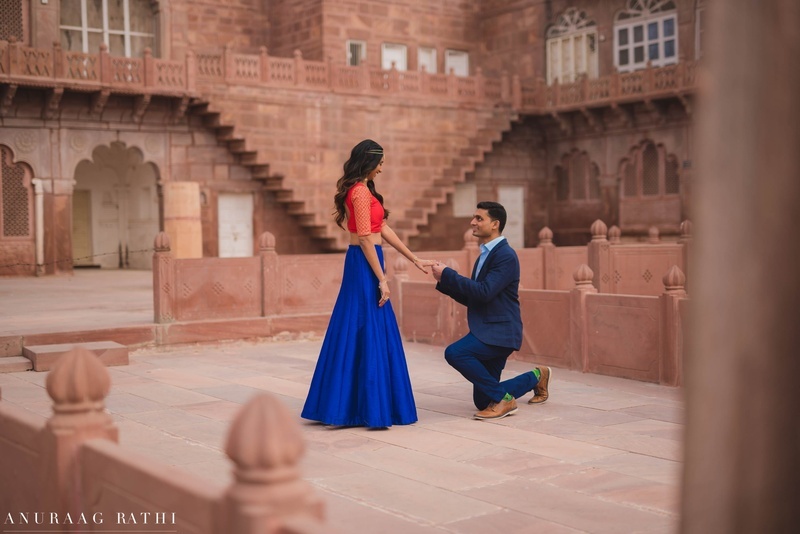 They knew each other since childhood as their parents were friends, went to same high school but met for the first time when she went to same undergrad school as him. 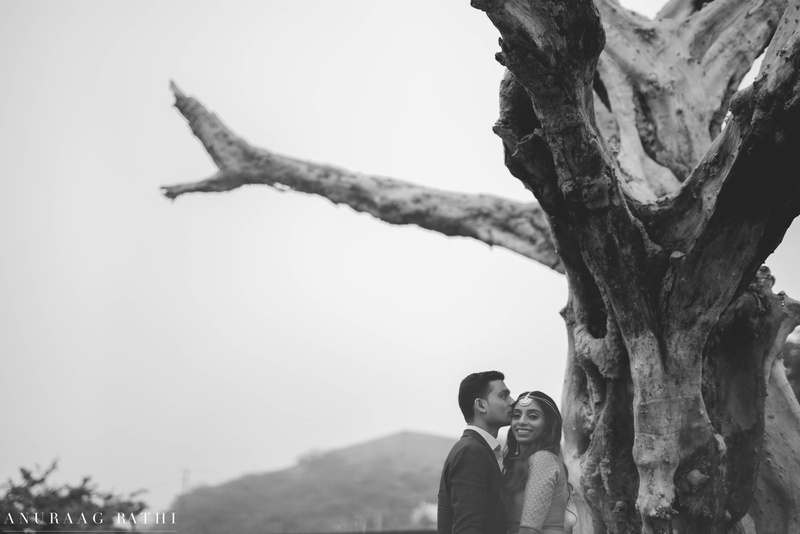 Soon friendship turn into something special. 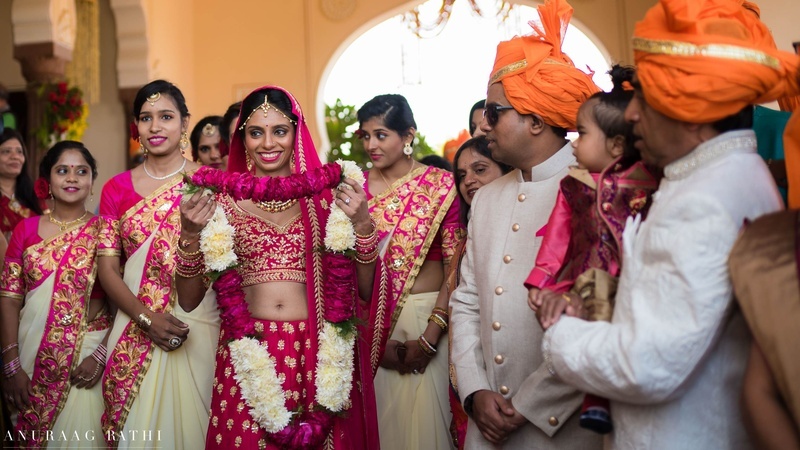 Nidhi & Arpan are both dentist in Philadelphia. 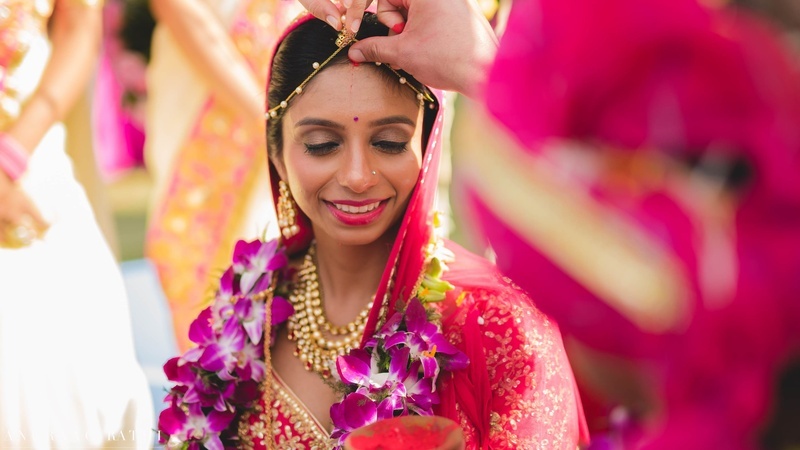 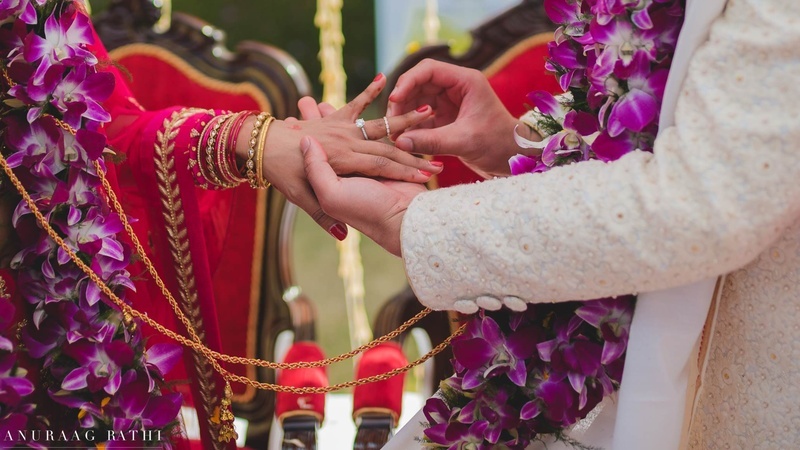 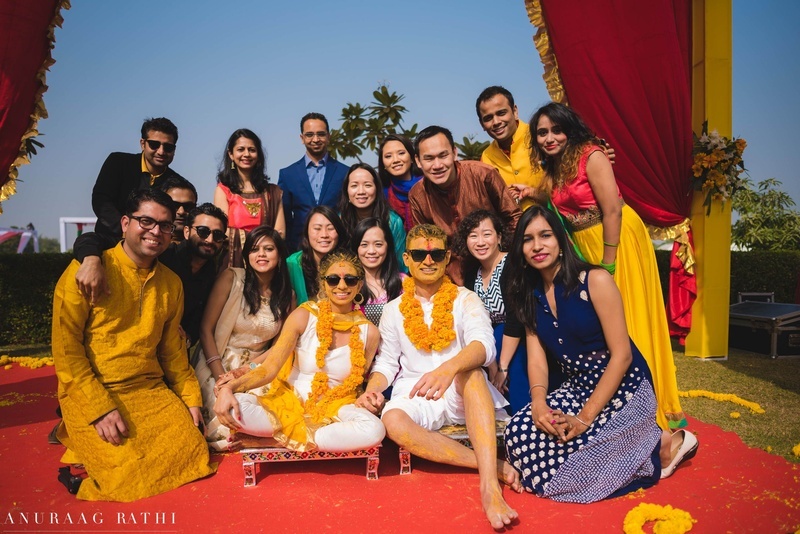 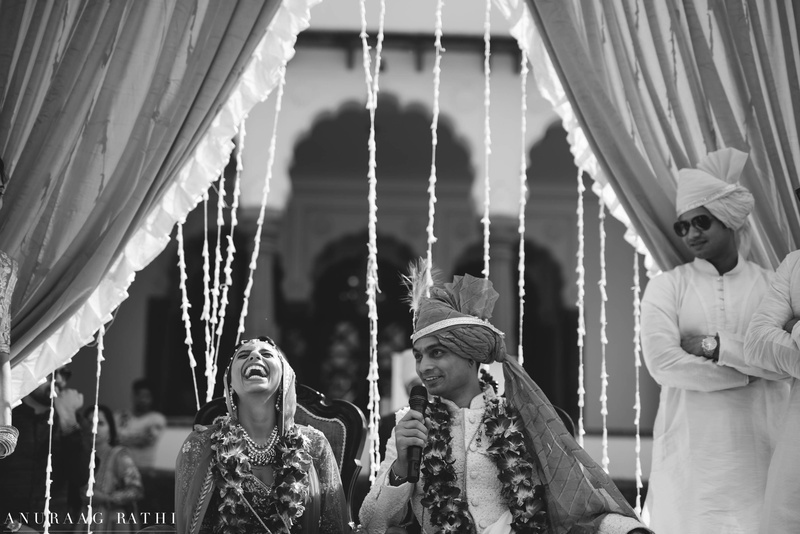 "We both stay in United States and when we decided to get married in India, we knew we wanted an intimate celebration. 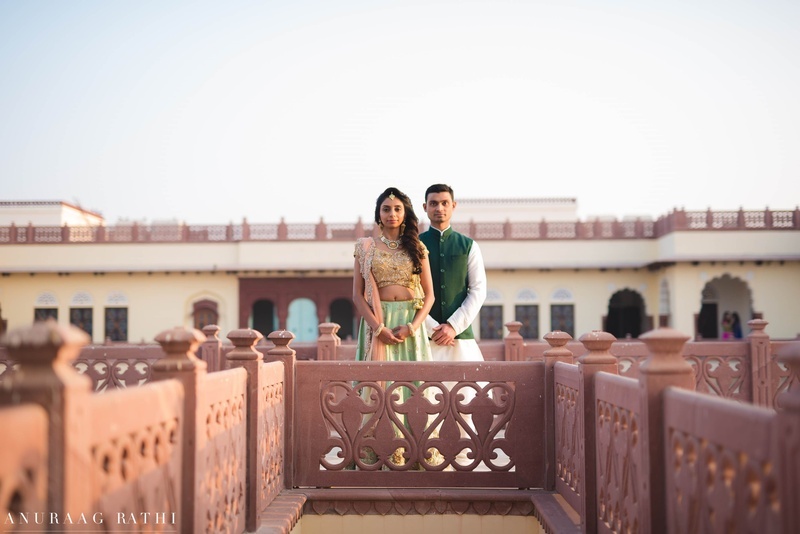 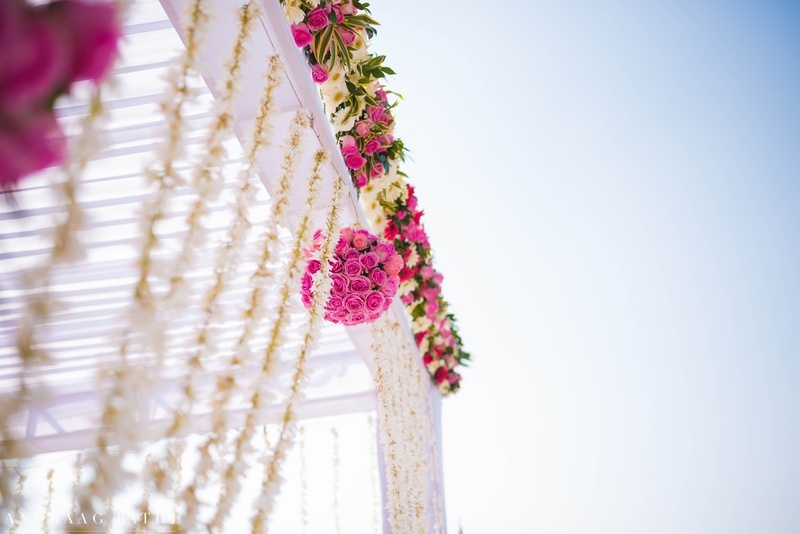 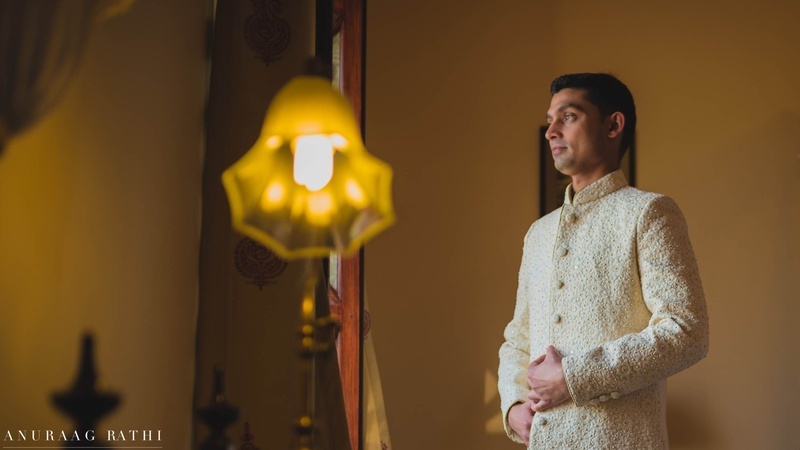 Nidhi always wanted a palace & traditional wedding and Arpan always wanted water front & minimalistic wedding. 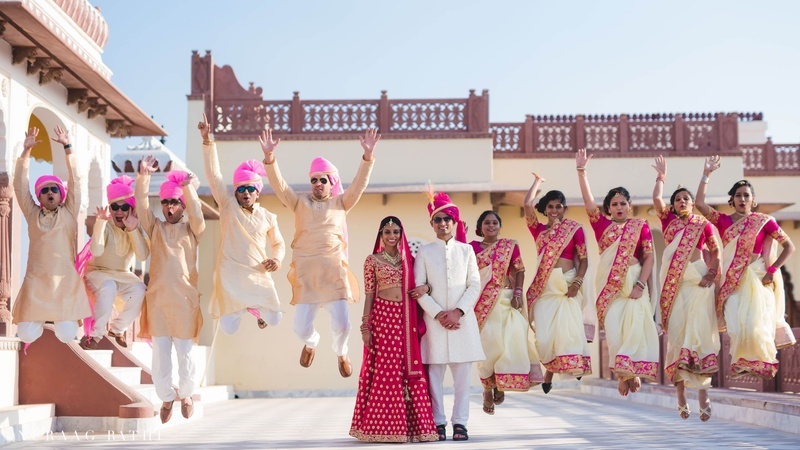 We shortlisted to cities like Kerela, Goa, Udaipur, Jodhpur,etc. 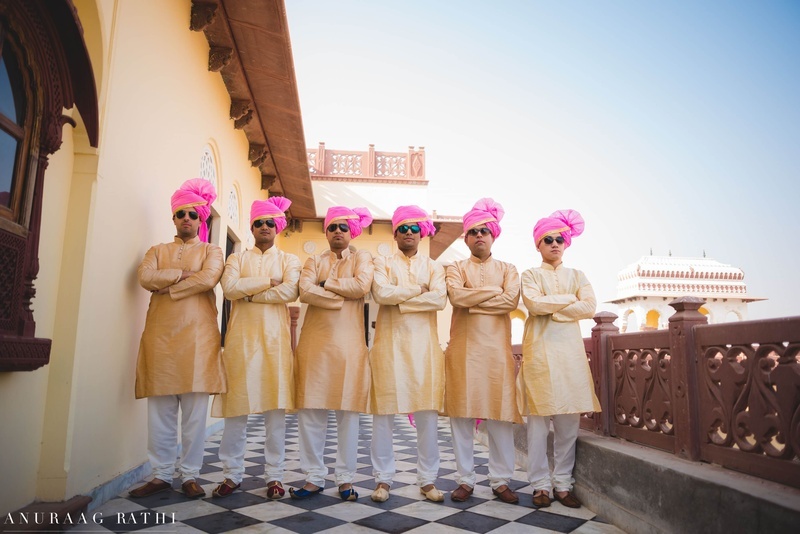 We liked a number of different places but the architecture of Pratap Niwas was an amalgamation of Mughal and Mewar style, as seen in the stone carving, cupolas and jharokas or extended balconies. 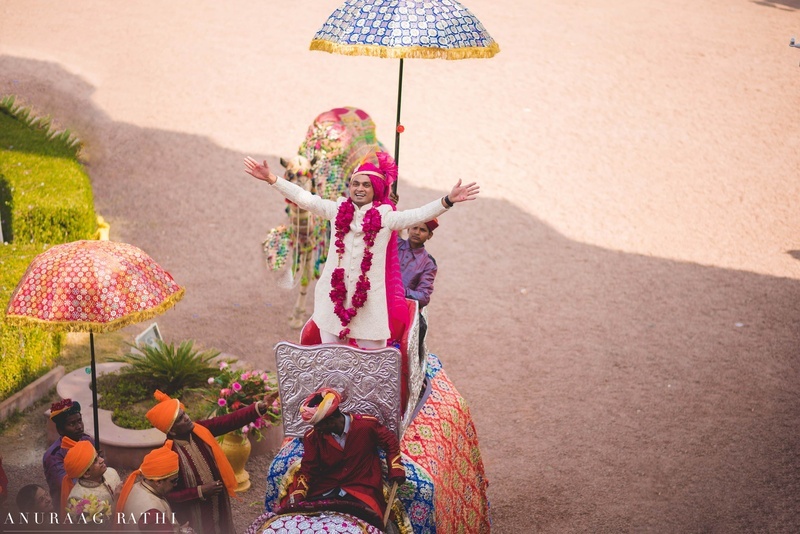 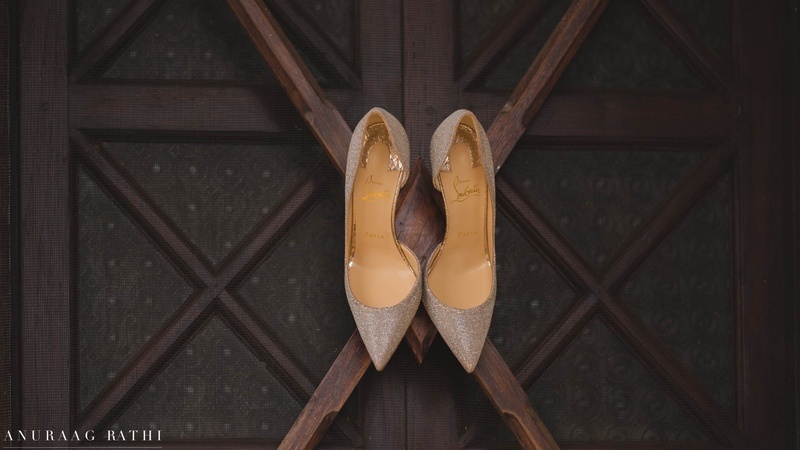 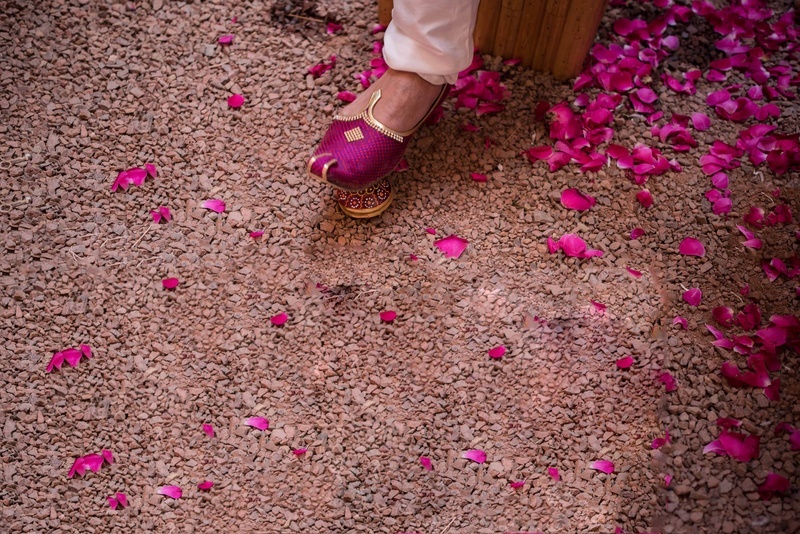 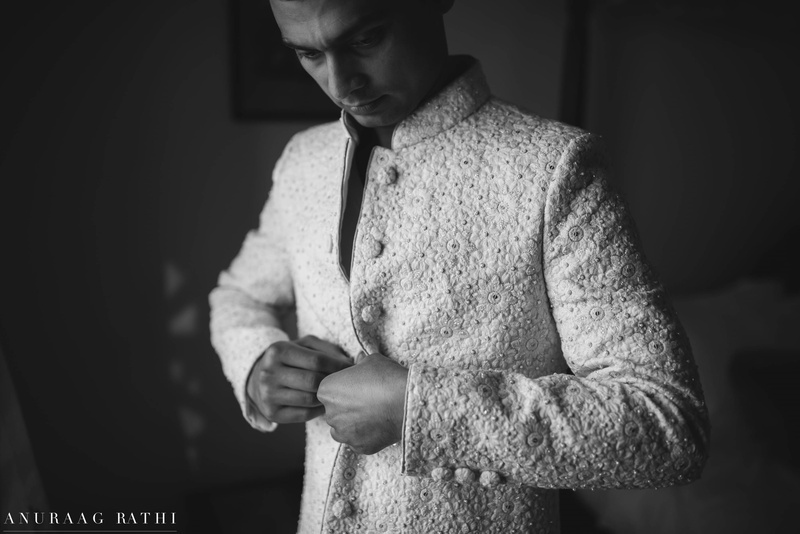 It took us back to the era of Rajas and Maharajas…. 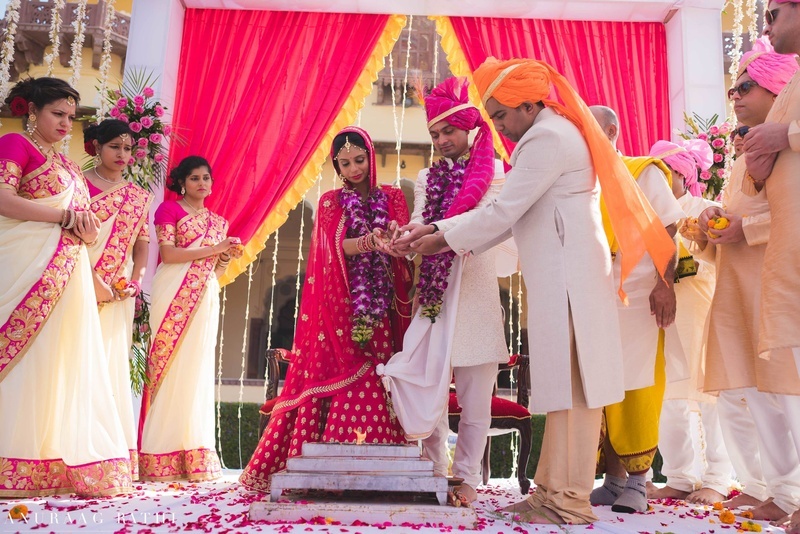 The old world charm and its modern amenities make it our preferred destination wedding venue." 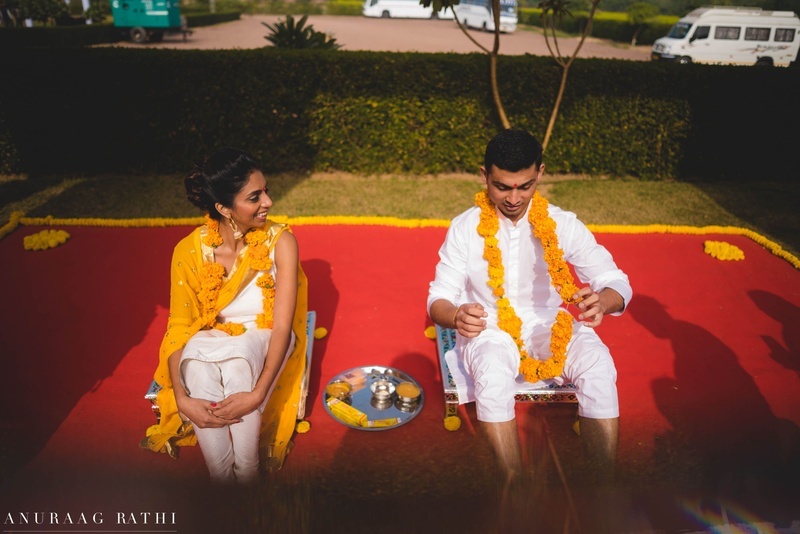 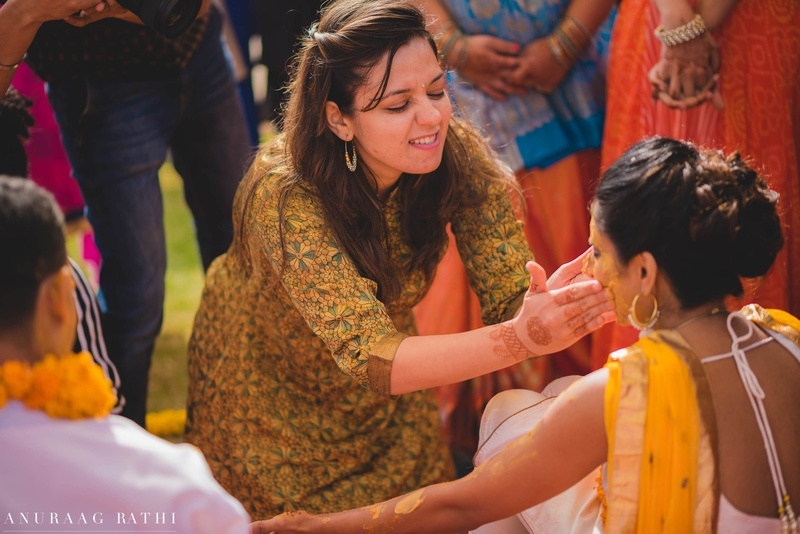 Haldi ceremony begins at Nidhi and Arpan's wedding! 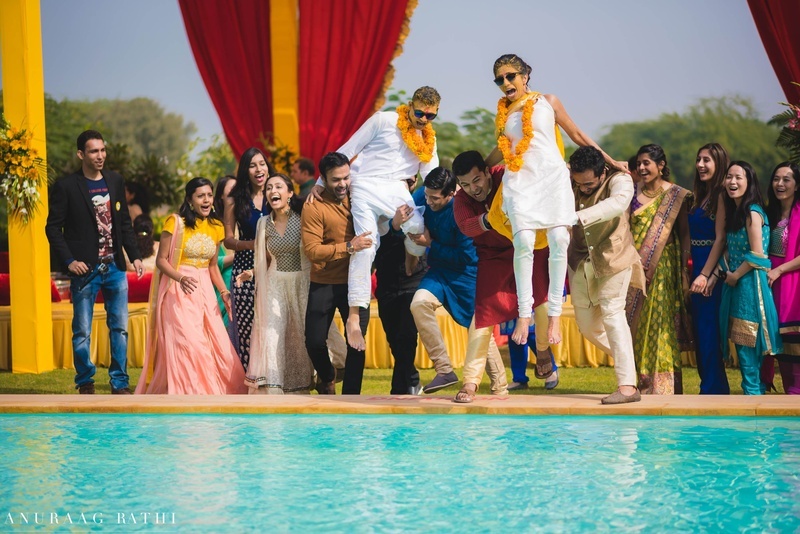 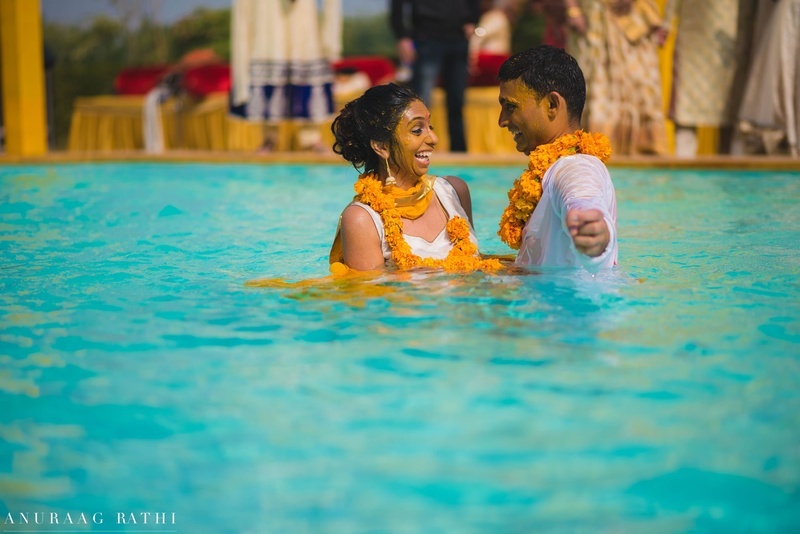 Bride and groom thrown into the pool after their haldi ceremony!